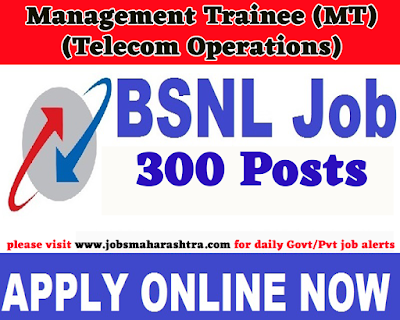 Bharat Sanchar Nigam Limited has published an official notification for recruitment of 300 Management Trainee MT Telecom Operations Posts. Interested and Eligible candidates who wants to apply for these posts submit their applications on official website of Bharat Sanchar Nigam Limited before 26 Jan 2019. For more details like age limit, salary, how to apply, selection process please refer the below article. The Management Trainee shall be appointed in the IDA pay scale [E-3] of Rs 24,900-50,500/- (PRE-REVISED) with annual increment @ 3% of basic pay plus IDA, HRA, Perks,Medical Benefits, etc. admissible, as per company rules. 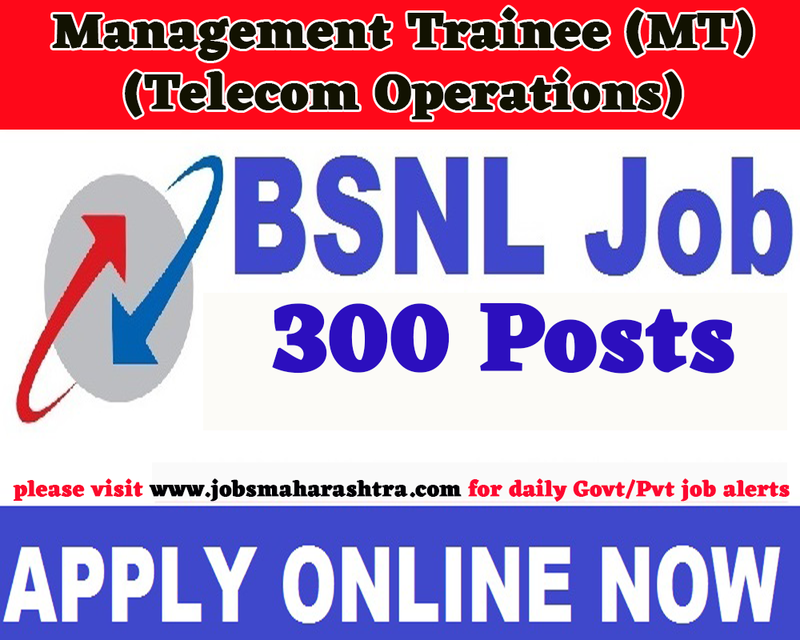 Candidates applying for Management Trainee (Telecom Operation) (External) posts are required to apply online for which link shall be provided and the same shall be intimated through BSNL web site (www.bsnl.co.in). Applications will be considered only through the online registration process which is to start from 26-12-2018 and last date of registration is 26-01-2019. All candidates applying for MT (External) posts are required to take print-out of the computer generated registration form for their record and to ensure the correctness of the information submitted by him/her. For more information for the Selection Process for BSNL Recruitment 2019 please refer the official advertising PDF.